All-indoors or all-outdoors wedding venues are not really what you should look for when choosing the perfect site for your wedding reception. I suggest booking a venue that offers both indoor and outdoor party areas, for example a glamorous ballroom and a refreshing outdoor terrace overlooking a golf course. This is especially important if you have elderly or pregnant guests. If, however, you want to rent a tent for your big day, make sure you also provide high-quality, portable fans (relatively silent and strong enough) and place them anywhere guests will gather. For an outdoor ceremony, scout out your wedding location and make sure the site manager arranges tables and seats with big umbrellas or under the shade of trees (if possible). Since the metal can heat up in the sun, reconsider having metal chairs for your outdoor seating. In case you’re stuck with them, ask for fabric slip covers and/or cushions for metal chairs that are going to be placed in peak sunlight. 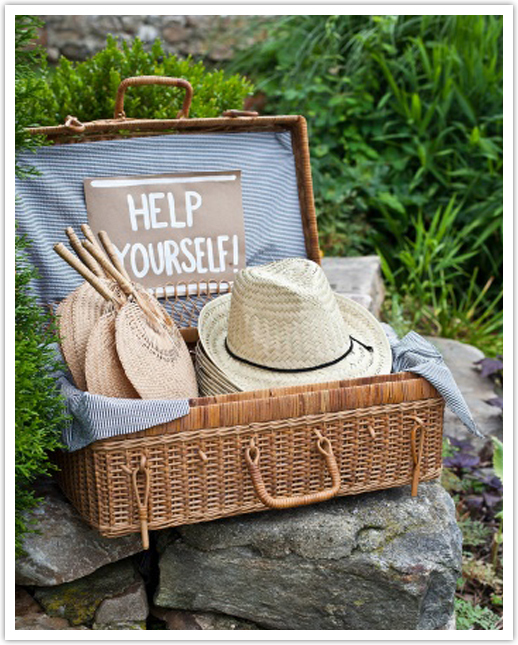 When choosing wedding favors, think about customized paper fans and/or little bottles of high SPF sunscreen. You can also set a spray bottle of sunscreen and a vase of lovely paper fans at each table for guests to protect and cool themselves with. 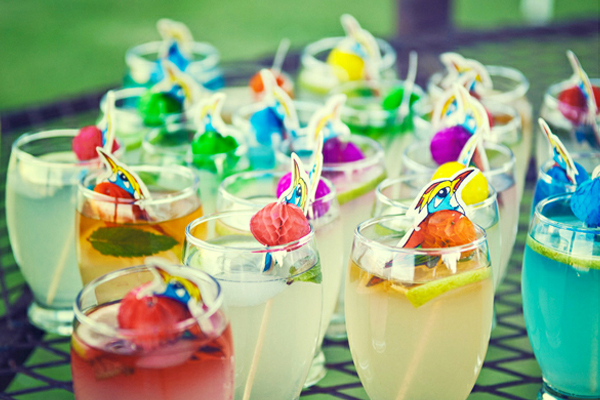 Keep your guests hydrated by serving lots of ice water in stylish glasses with slices of orange, lemon or lime. 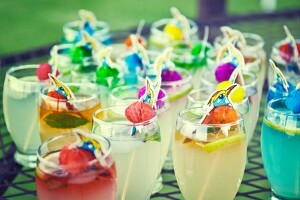 Flavored lemonades are also an excellent choice for a summer wedding. 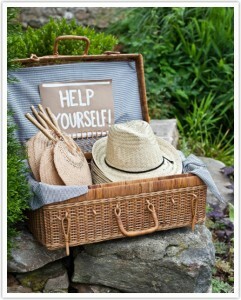 For more wedding planning tips for summer brides and other lovely ideas see web site Wedding Forward!